1) Prunes seem to be called "dried plums" now (across the board; not just on this package), I guess to avoid the association with geriatric bowel movements that prunes have acquired over the years. The idea of rebranding something that grows on a tree seems silly to me, although I'm sure it's been profitable for Sunsweet. 2) The bar graph indicates that PlumSweets, consisting mostly of dark chocolate and prunes, have a higher antioxidant content per gram than either dark chocolate or prunes! I know a responsible corporation like Sunsweet would never lie to the public about something as important as nutrition, so there's only one logical resolution here. 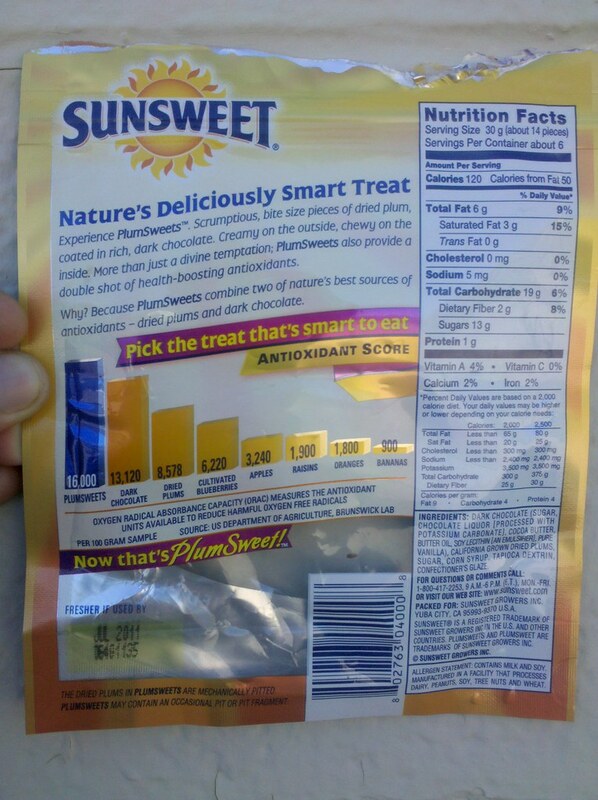 There must be some other ingredient(s) in PlumSweets with such an extraordinarily high antioxidant content that it raises the average to the level indicated on the chart. So, without further ado, I present to you the four other ingredients in PlumSweets, the four candidates for the title of Mega-Antioxidant Superfood: sugar, corn syrup, tapioca dextrin, and confectioner's glaze! 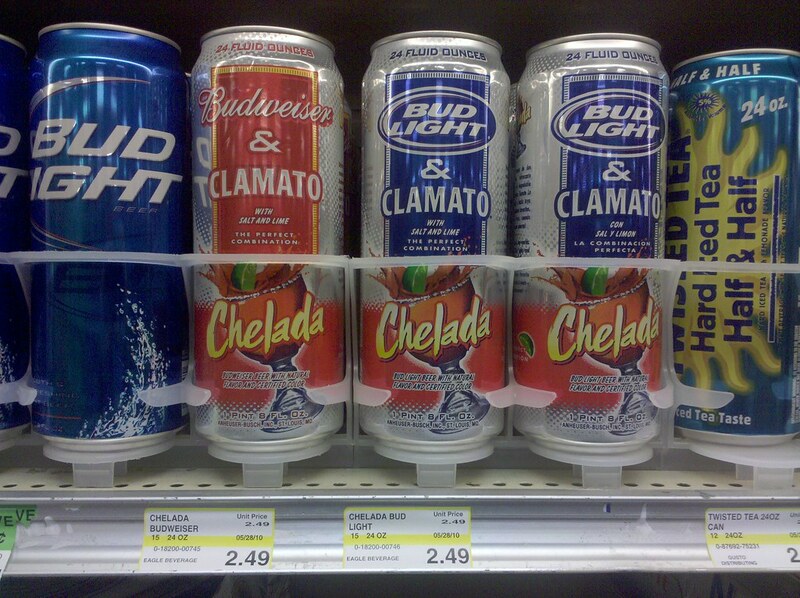 But I still couldn't bring myself to buy one of these cans.